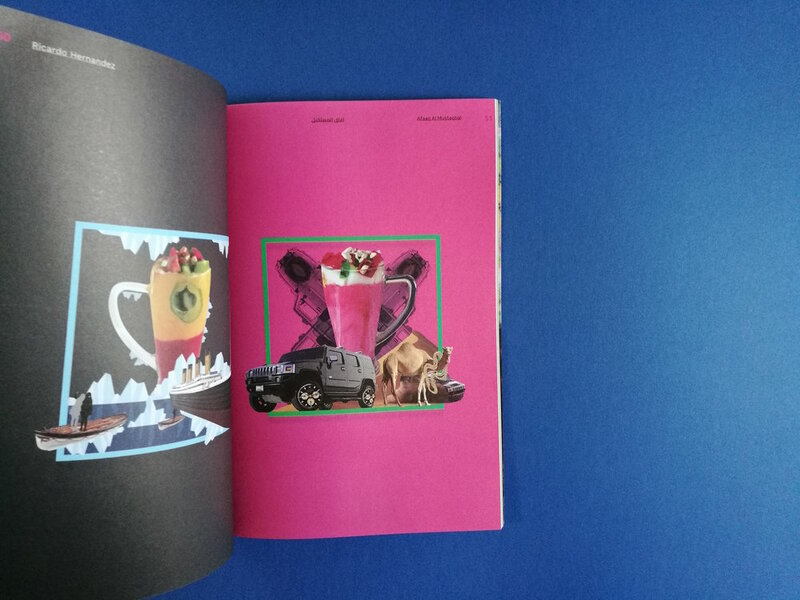 Hosted by Dubai Design District, participants created a zine and incorporated their reimagined photographs into them. 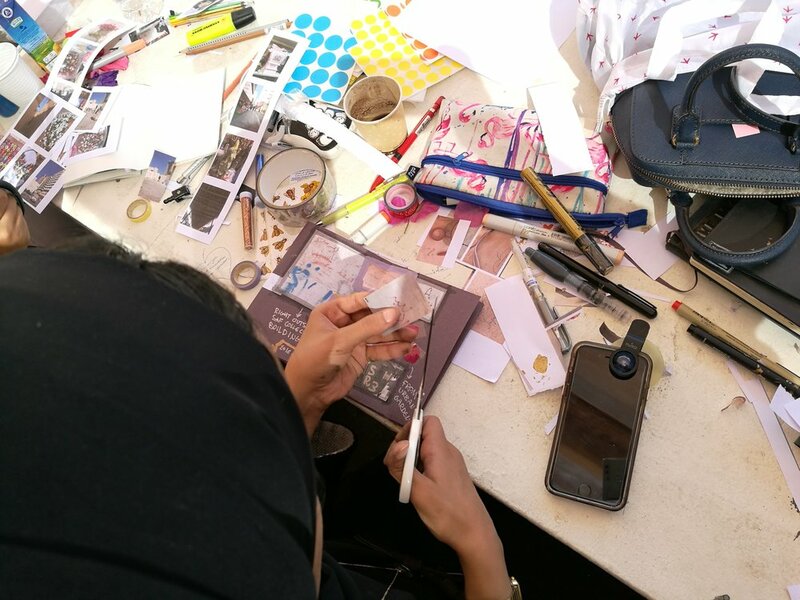 Hosted by Dubai Design District, participants created their own notebooks/journals/ sketchbooks and designed their covers. Openism had a rad Ahwa pop up with the theme of Meso Arabia. A selection of clothing currently available in OPENISM S/S'18 collection, and soon to be available in GENERAL. Their new short cartoon 'UNION' was premiered under Salafi Cowboy Cultural Defense project. The pop up exhibited original art, stickers and patches. Check out Openism & Salafi Cowboy for the next Ahwa pop up and upcoming projects. 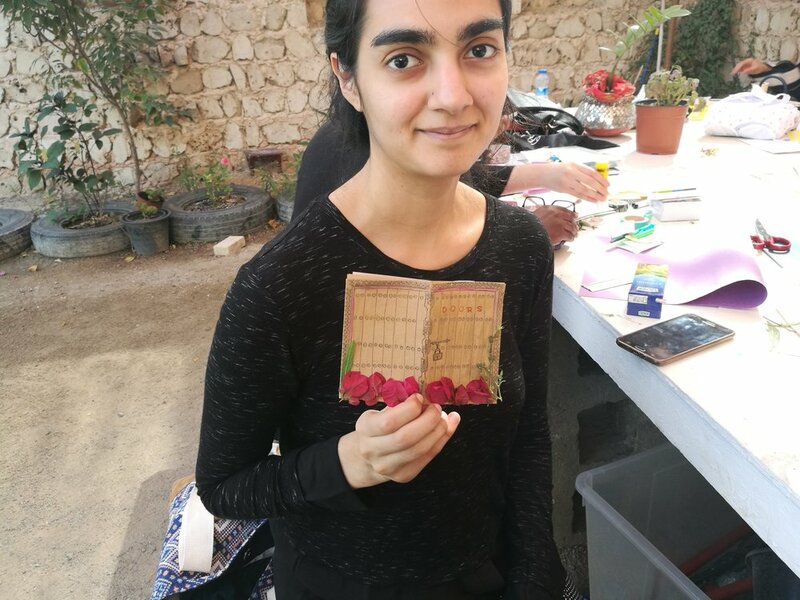 The relationship between migration and memory in connection to the Arab world and its diaspora. How does your memory of a place change once you have left? What happens if you are ethnically associated with a location but have never even been there? 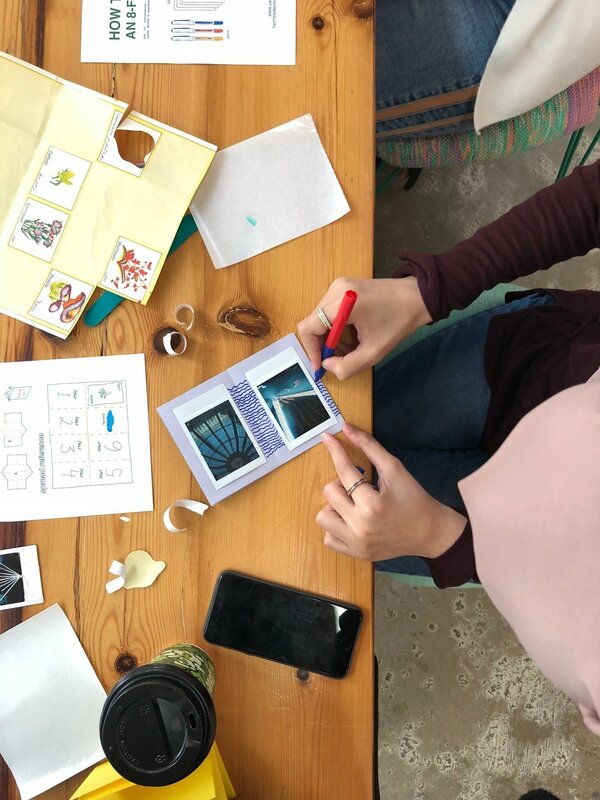 We were back with another zine workshop in collaboration by the incredible community program team in Sharjah Art Foundation. Incredible turnout and creations. 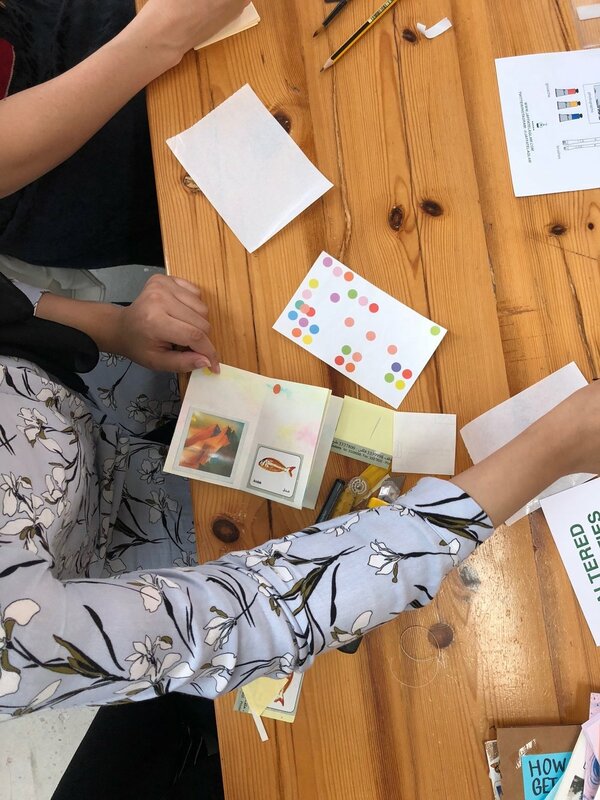 In collaboration with the Sharjah Art Foundation, hosted by Dubai Design District, participants curated their own care packages that included handmade pins (from clay) and repurposed photographs to create original one-of-a-kind postcards. We were honored to be part of this year's programme. 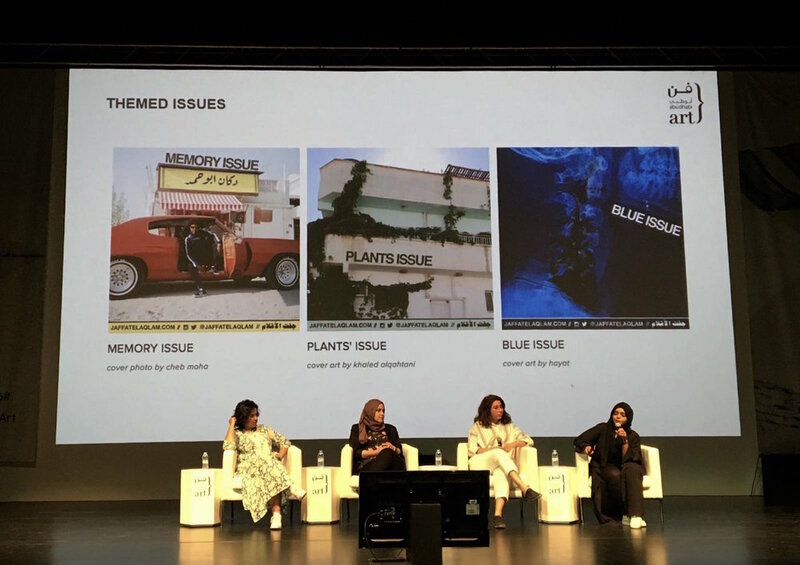 Curated and organized by the lovely Munira Al Sayegh, moderated by the incredible Raneen Bukhari and along side brilliant women, Sara Bin Safwan (from Banat Collective) and Rawa Saleh (from Kuwait Poets Society). We talked about our platforms, challenges, and future plans. One of the biggest challenges was opening the e-store and creating excellent content for you to purchase, hug and maybe even caress. It currently has our first volume of zines, but will soon include other publications, stickers, postcards, totes, and art kits, in collaboration with our contributors. Subscribe to get notified when things drop in our store. 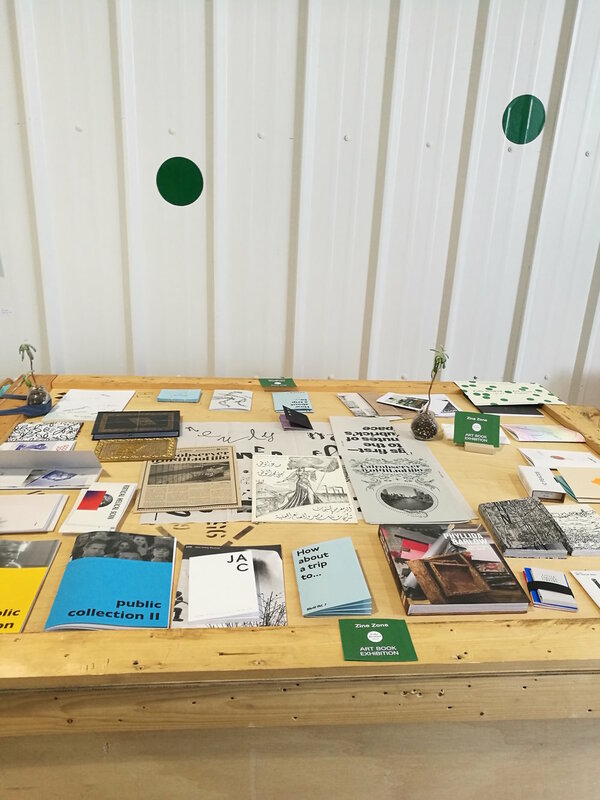 We got to exhibit our zines in Fully booked alongside incredible artists and publishers. 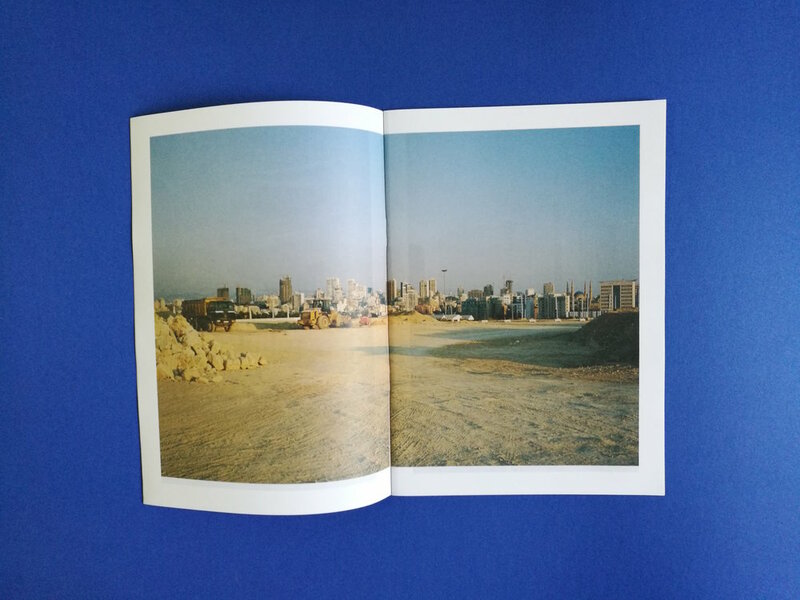 Fully booked is the first art book fair in the United Arab Emirates. 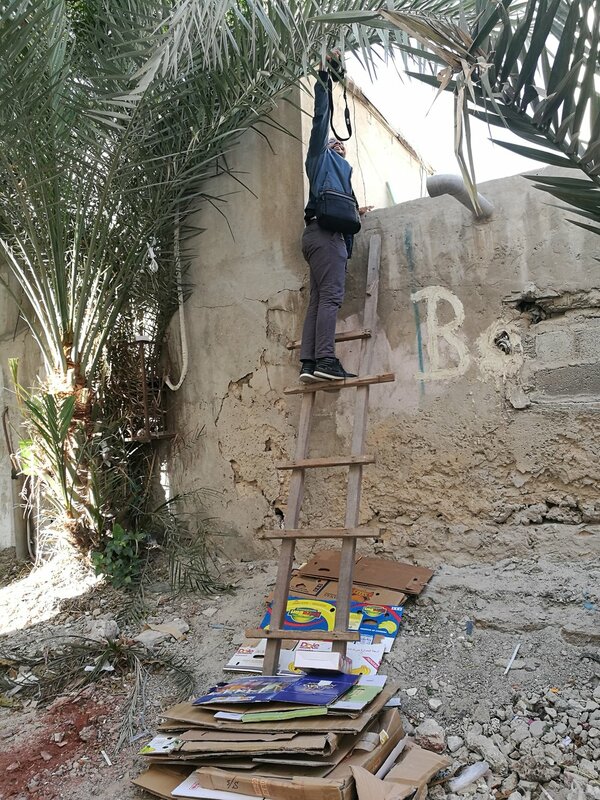 It premiered this year and included several independent publishers, artists, workshops by wonderful humans in the region and a zines/publications exhibition. You can read more about it here. We can't think of a better way to start our year. 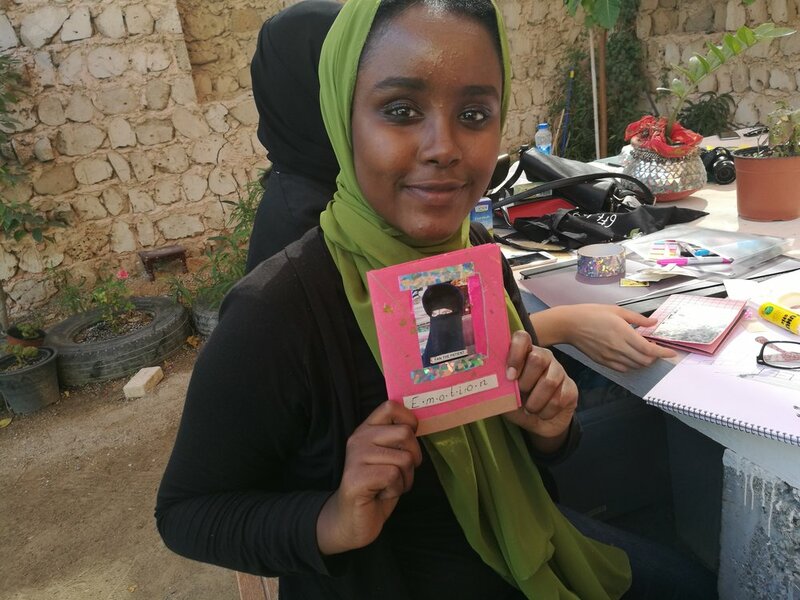 In collaboration with SAF, we held a zine making workshop. 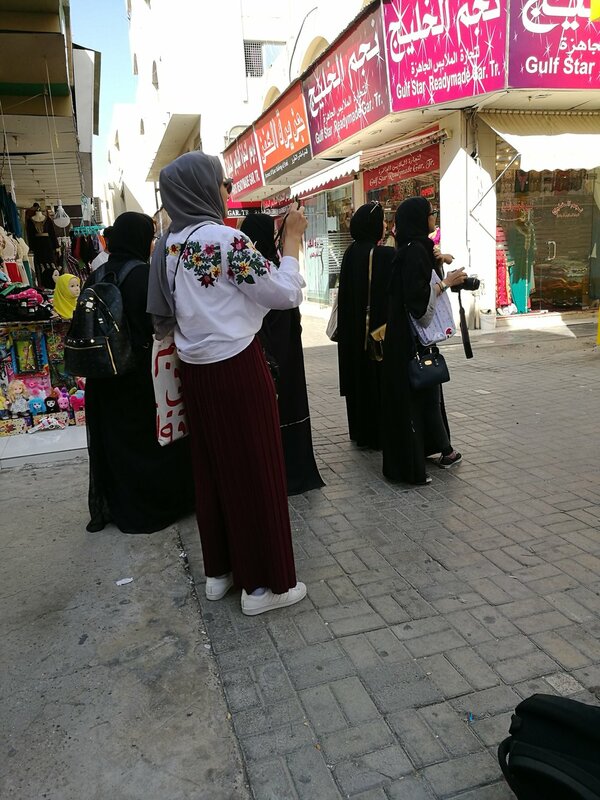 We walked around #SAFneighbourhood, explored, observed and documented our surroundings in several methods that included but weren't limited to photography and illustrations. Below are some photographs taken throughout the workshop. 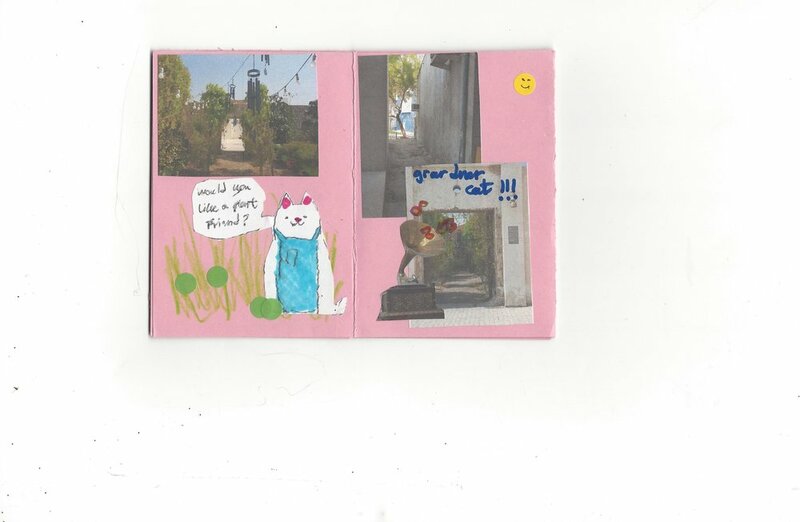 After exploring the SAF neighbourhood, we regrouped in SAF's magical urban garden and started creating zines. 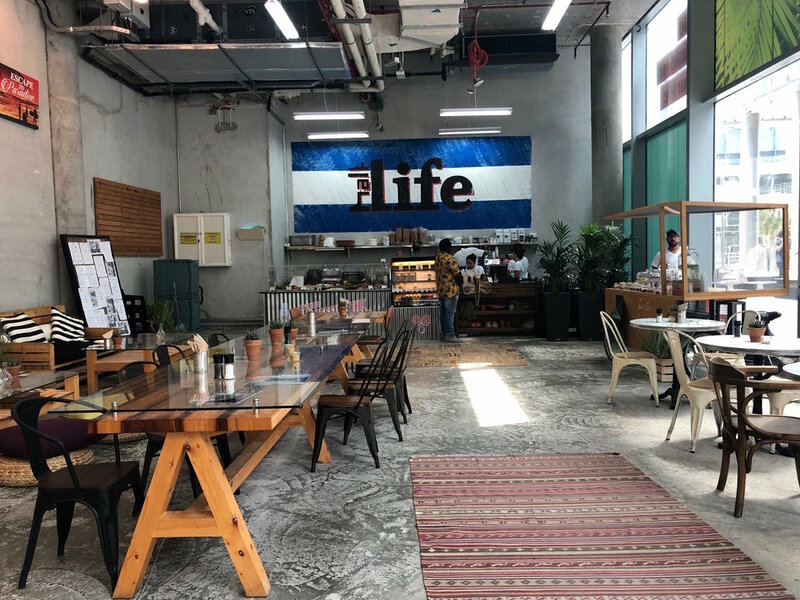 We'd like to thank Sharjah Art Foundation for this opportunity, and personally thank Hessa Ajmani for creating this excellent community programme, that encourages humans to explore and (sometimes, experimentally) document surroundings. A huge thank you to everyone who participated, seeing things through your lens was incredibly overwhelming. 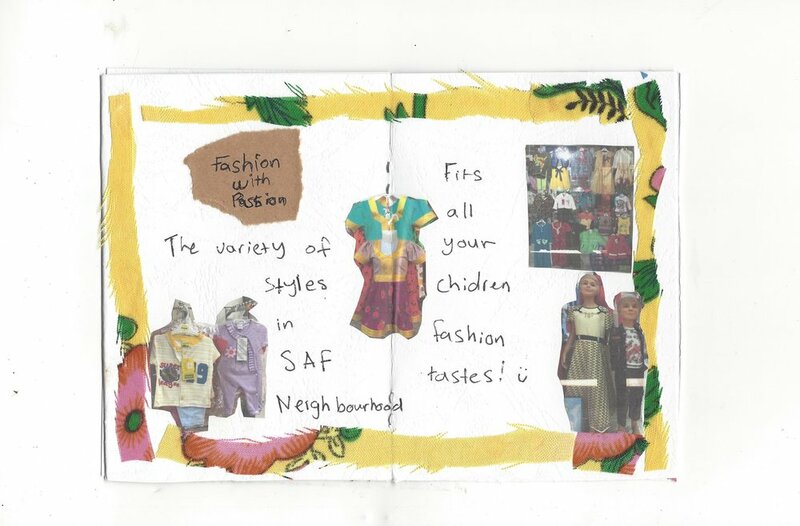 Feel free to check out the brilliant creations of our participants.